How to remove the scroll within the portal? How to add my product weights to Shopify? Shopify error: "Cannot refund more items than were purchased"
Shopify error: "Payment not captured"
What payment gateways does Return Magic support with Shopify? How does Return Magic generate gift cards in Shopify? When trying to access the refund screen, you may see a "Payment not captured" exception. This means that there is no transaction linked to the order. The order was created outside of Shopify and imported without any transaction. In that case, Return Magic will not be able to refund the transaction. The payment was not captured. When an payment is captured, the money from the customer's account is transfered to the merchant’s account. The order was not shipped. For the same reason as previously explained, Return Magic can have some problems when trying to refund items that have not been shipped. The best solution is to ship the items or capture the money of the order manually. If these possibilities don't explain it, then you might be using a payment gateway that we cannot support at the moment. Please see a list of supported payment gateways here. 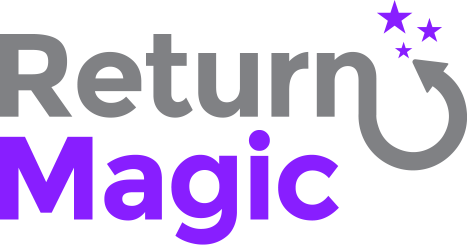 Return Magic will not be able to refund your customers automatically for payment gateways that are not supported, but you can mark a return as manually refunded and process it yourself. Note: You can change the Shopify settings to capture orders automatically, under Settings > Payments > Payment authorization . For more information on this, please refer to the Shopify Help Center. If none of this explains your issue, feel free to comment below or send us an email at support@returnmagic.com!